The striking pilots saythe interruption could “have a significant impact” on deliveries by ABX Air customers, including Amazon. Pilots with a cargo airline that flies routes for customers including Amazon.com went on strike Tuesday, a decision that could create hiccups for the Seattle e-commerce giant during the critical holiday shopping season. Some 250 pilots employed by ABX Air aren’t flying their scheduled routes as they fight what they say are stressful working conditions and intentional understaffing, especially during the fourth quarter’s shopping frenzy. In March, Amazon inked a deal with ABX Air’s parent company, Air Transport Services Group (ATSG), to lease 20 airplanes in a dedicated air-cargo network connecting Amazon’s far-flung warehouses. ATSG is already flying 14 of those planes, or 35 flights a day, for Amazon, according to the pilots. The strike also affects DHL, for which ABX makes 45 flights a day. Amazon downplayed the potential impact of the walkout. “We work with a variety of carriers and are confident in our ability to serve customers,” spokeswoman Kelly Cheeseman said. The strike comes at a time when Amazon has aggressively sought to turn the page on the logistics woes that befell its operations in past holiday seasons. Higher than anticipated demand last year forced the company to scramble to deliver packages to customers’ doorsteps. Since then, Amazon has invested billions in building new warehouses and has changed the fee structure for its fulfillment service for independent merchants to avoid similar troubles this time around. Amazon has also invested heavily in creating an air force that would allow it to move items more quickly, especially for members of its Prime loyalty program, who pay $99 a year in exchange for guaranteed fast shipping and other perks. In addition to the 20 planes Amazon has agreed to lease from ATSG, the “Prime Air” fleet is expected to also lease 20 jets from Atlas Air Worldwide Holdings. “It could not happen at a worse time,” given that the heaviest shipping season happens from Thanksgiving through Christmas, and Amazon will have to rely on other national couriers that may not be able to handle a large surge in unplanned volume, Wulfraat said. ABX Air, based in Wilmington, Ohio, says it will seek a court order to force the pilots back to work, even as it continues talks with the union. “We expect the court will uphold our position that the actions taken by the union to refuse work assignments is not legal, and the issues involved constitute a minor dispute to be resolved via arbitration under the terms of our current labor agreements,” ABX Air President John Starkovich said in an emailed statement. However, customers are being notified of temporary interruptions in flight operations so they can adjust their shipping networks, Starkovich said. 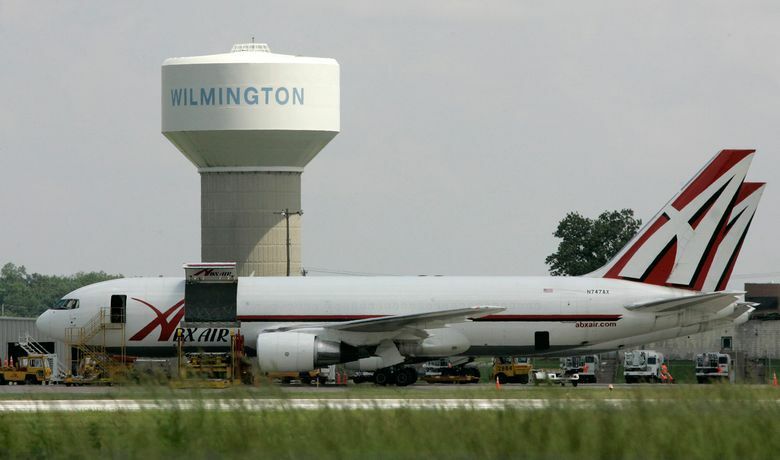 The pilots say that their conflict with ABX Air management stems from the firm’s alleged refusal to recall pilots who were furloughed when DHL shuttered its North American hub in Wilmington in 2008.